These two projects feature the magic of Garter stitch squares - and Meg uses her 'sew-as-you-go' technique to uniite the sections as she knits. 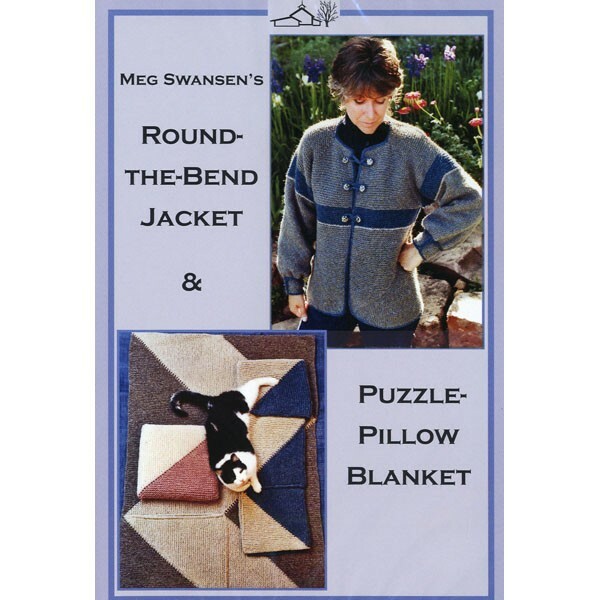 The beautiful jacket follows a twisting path from the cuff, up the sleeve, then turns 4 corners in the body - repeat for 2nd half, and you've built a jacket! 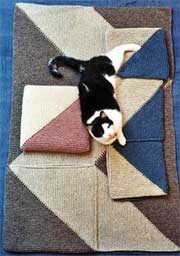 The blanket also zigs and zags (never a boring row), and when completed folds up into its own attached pilllowcase. Meg gives full video instruction for both. 1 hr 20 mins. DVD.